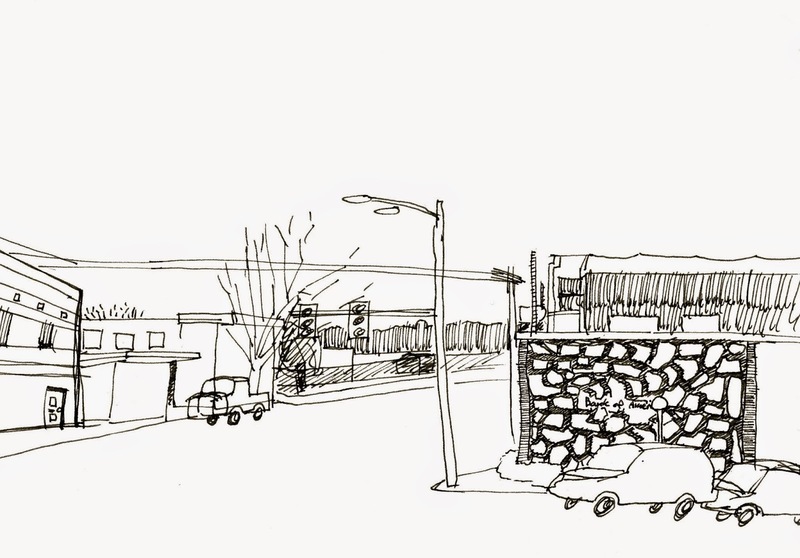 The first place I remember drawing outside was Columbia City. I attended elementary school at the building between Rainier Avenue and MLK. As part of an art class, we went out to the historic section of Columbia City to sketch. I wish I could find the drawing I did back then. The sketch above is of the same building though from a different perspective. I took shelter in the Starbucks on the corner of Rainier and Edmunds. The coffee shop offers great views up Columbia City's historic business district and over to the former Orca building. It is amazing how much Columbia City has changed. When I was in elementary school, Columbia City was mostly filled with nail salons and little else. Since then, the business district has really come to life with a variety of restaurants, bars, cafes and boutique shops. I was also amazed to see the huge apartment building they are building next to the Columbia City Library. Despite the big changes some things have remained the same. The funky 1960s bank building is still standing and the beautiful library retains its stately presence in Columbia Park. In addition, it is great to see the care taken to maintain the brick buildings on Rainier Avenue. 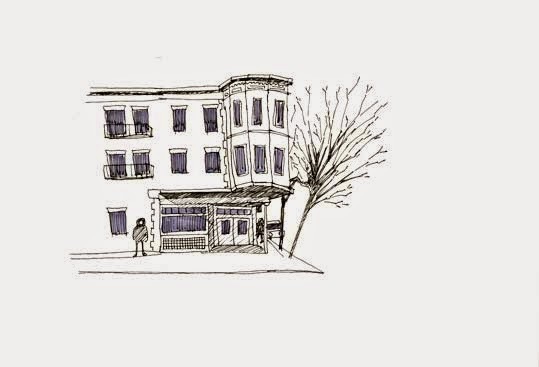 Wonderful sketches and interesting to read your personal history of the neighborhood.